Discussion in 'Tips, tricks and tutorials' started by RobF, Jan 15, 2009. Part 1 : Naming of parts. 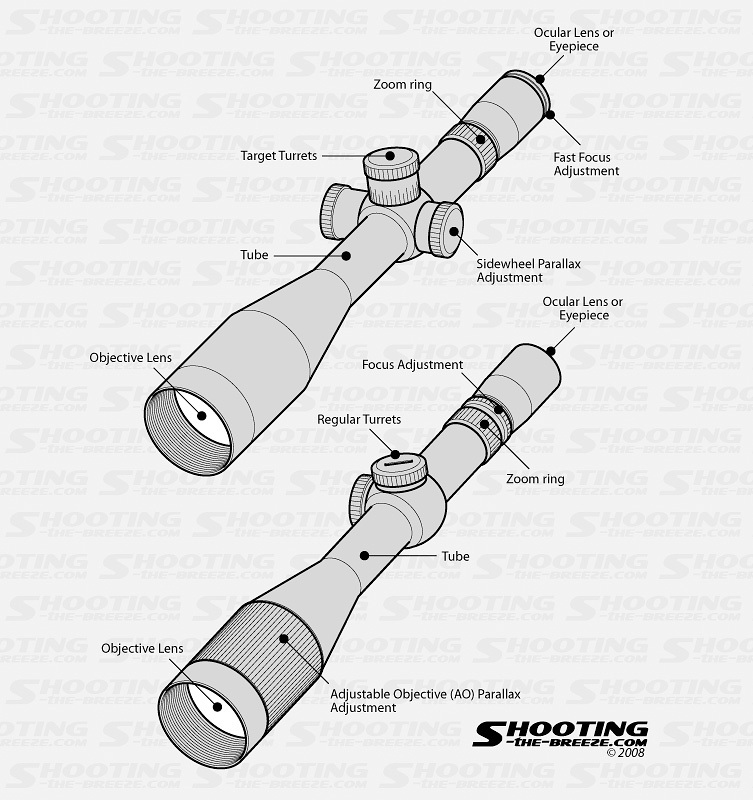 Ok, so above we have two pictures of telescopic rifle scopes with some differences. In an attempt to delve into the world of scopes we need to be clear what we are talking about and what functions each part performs. This is the bit of glass that starts the process. This is where light from the outside is let in. The bigger this lens is the more light that is let in. Also, the larger this lens is the wider the field of view (how much you can see left, right, up and down without moving the scope. And another product of a larger objective is that you get a 'shallower' depth of field, which means that things in front or behind of the object your looking at are more out of focus. A 'deep' depth of field means you can see things more clearly further forward or behind the object your looking at. 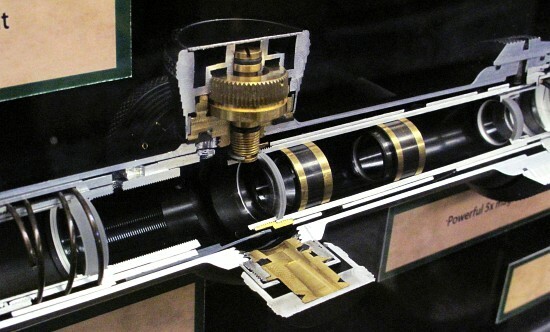 The tube's purpose is to hold the scope together and align the lenses. The only real variation between scopes is the thickness of the tube. In older scopes, it is/was 25mm or 1 inch. In newer models it's more common to be 30mm. Some scopes have even thicker tubes of 34mm. The thicker tube allows for more elevation and windage adjustment. Whilst 25 and 30mm scope tubes are common place, 34mm tubes aren't and consequently the mounts can be considerably more expensive. Scope tubes can be quite easily damaged, either by overtightening, or bending due to stressing by shimming and overtightening. Even if a scope tube isn't permanently bent by shimming and tightening, internal stresses can be enough to cause adjustments to start to bind. A better solution is to use adjustable mounts. Mounts only need to be tightened enough to stop the scope from moving. Often found with an external dust cover, these are used for adjusting the impact point so it aligns with the cross hairs. They work by moving a set of lenses internally, and are essentially sprung loaded screws. To define the amount of adjustment moved, the turrets are made to click. Sometimes worn scopes lose the ability to click, but this doesn't affect their ability to adjust the impact point. There are two common types. Normal and Target/Tactical turrets. The former are usually found under a dust cap, and often present a screw head and a +/- direction indicator and little else. The idea is that they are set, then the dust cap is replaced and they are left. The second type offer the same type of adjustment, but they are often larger, and have markings to measure the amount by which they are dialed. This means that certain impact points along a trajectory can be recorded, and dialed back in later. Often there is a retaining screw which allows the turret to be reset to 0 for simplicity. Some target turrets have dust covers, some dont. Some also opt for custom target turrets to be made that either have predetermined trajectories on them, or allow them to create their own. There are also custom turrets that prevent accidental adjustment by too many rotations in either direction. Care should be taken not to allow the adjustment to reach the end of it's travel. Generally a 'tightening' can be felt as this is done. It is possible to jam/lock a set of turrets up completely this way. Another common difference between scopes is the amount of adjustment offered by the turrets in one click. The common adjustment is either 1/4 Minute of Angle (MOA) or 1/8th MOA. There is no particular advantage to either. 1/4 MOA is a fine enough adjustment for target shooting, and 1/8th can mean twice the amount of clicks need to be made for the same amount of adjustment as the 1/4. However this is of little to no significance. The amount of adjustment can be made to coincide with markings on the reticule on some scopes. We'll be going into this in a much deeper way later on. For this part all you need to understand is that some scopes have it, and some scopes don't. And for the one's that do, there are two common methods of adjusting it. 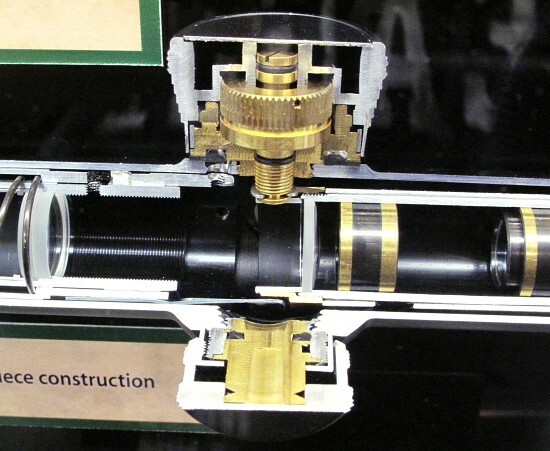 Firstly there is the Adjustable Objective (AO), which is an adjustment ring on the objective end of the scope. This is simply turned so the scope is at your desired range, and parallax error is 'dialed' out. Secondly there is the sidewheel type of adjustment, which is a small ring on the left where the turrets are housed. Again this is simply turned so the scope is at your desired range, and parallax error is 'dialed' out. Thirdly there is the much rarer rear parallax (not shown) which is a ring on the rear of the scope, towards the eyepiece end, which is then turned to eliminate parallax error at your desired range. Each of these are usually marked with a series of ranges. Some scopes are quite good at matching their ranges to physical ranges, some are not. As we are dealing with airguns and quite short ranges, we also need to be aware that some scopes are not made for airgun ranges and might not have adjustment down to these ranges. Or, even if they do, they might only be marked for a handful of ranges. Often target shooters will remark these to their own ideal. There are no real advantages to each method beyond personal choice. Some (as I do) find AO scopes too much of a reach forward if i'm adjusting them a lot. Some also like the fact that you can get larger custom wheels made for sidewheel scopes to make adjustment easier. Other shooters who don't adjust parallax sometimes find they can dispense with the whole thing altogether. We will deal with why you might want PA adjustment later, and what you can do to overcome problems if you don't have it. This bit makes you shoot faster. Well, it makes you wobble faster. Actually, all it does is enlarge the image. It's important to understand that's all it does, it zooms in or out of the image presented to the scope. Again, some scope's have this and some don't. 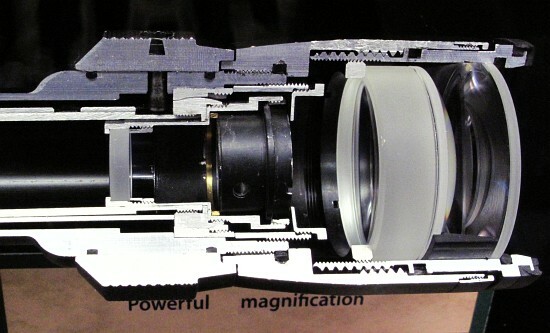 It's a ring in between the turrets and the eyepiece, marked with the focus power. Ie a 10-40 scope will have 10 to 40x marked on it, with a few useful magnifications in between. Turn it to your desired magnification. Magnifications can vary from 1.5x to 60x. 1.5x would be 1.5x larger than the eye sees it, 60x is 60 times bigger. Again, as with parallax these markings can be accurate or sometimes not. (I have two scopes from the same manufacturer that disagree on 40x). However it's of no real importance to know exactly what the precise magnification is, and if you do need to, then you can always remark the ring. As with parallax, we'll be going into this function much deeper in detail later. This you will find on every scope, in one of two forms. Either there will be a locking ring, which turns to unlock the eyepiece, and allows it to rotate, or at the end of the eyepiece there will be another ring, which turns. Both perform the function of focusing the reticule to your eye. Everyone's eyes are different, so this is necessary. It's also important to do this before doing any other work with the scope. But this is easy to do. Put the scope on the highest magnification. Turn the parallax so that everything is out of focus, or look at something like the sky or a blank wall at a distance where it's out of focus. All your trying to do here is make the eye see just one thing, a reticule. Then turn the focus adjustment so that the reticule is clear and sharp. Look away and back into the scope to check, as your eye can adjust quickly to accommodate for imperfect focus. You want to get the best natural focus to save your eye doing the work itself. With focus rings on the eyepiece, they tend to have quite course adjustment, (often called fast focus), so it's often quite easy to achieve a good focus quite quickly. However with locking ring type focus adjustment, where you rotate the whole eyepiece, often the threads are very fine... and adjustment is very subtle and the eye can accommodate the less than perfect image before you can adjust it. To ease this, set the scope at what think is noticeably bad, then turn the bell, counting the rotations, past what you perceive as good, until you notice it being just as bad again. Then divide the turns by 2, and turn that amount back. Focus adjustment often reveals a section of the scope, such as an extension, or a thread. Don't be concerned with this. I've never found a scope where the eyepiece has been released. Indeed, Leupold say that although a large amount of thread maybe revealed, the nitrogen gas inside won't leak and the eyepiece won't come off. However, as ever, don't try and force it beyond what feels comfortable. Another point to mention is that the focus adjustment will compensate for people who wear glasses. Therefore it is not necessary to wear them when using a scope, unless you have astigmatisms that prevent consistent focusing. However, some prefer to wear glasses or contacts. If you do, then you need to adjust the focus with them on/in. Good focus will provide better less eye strain, parallax adjustment judgement, and better target aquisition, so it's something that's worth spending time getting right and consistent. gdavison, bugbug, Dennist and 1 other person like this. Fascinating read for someone new to the sport. Thank you for taking the time to put this together. That's a blast from the past. Might have to update this sometime soon.